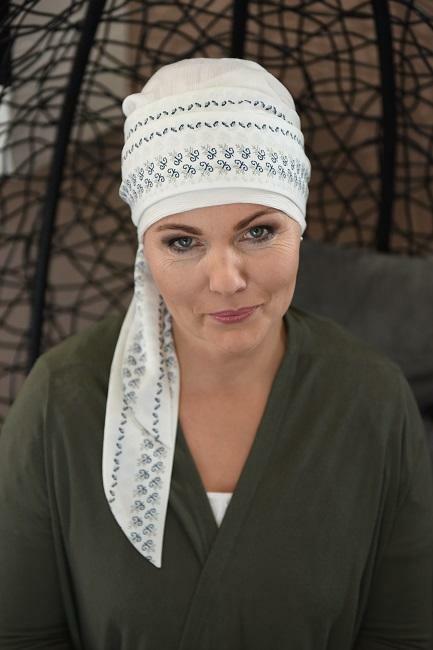 Light and airy headscarf for hair loss which allows the head to breathe, ideal if you suffer from hot flushes. All scarves come with a preformed head which is simply pulled on and you can tie with one simple knot or bow. All the headwear you see on the website is made to order. This means that everything can be customised in any way you like including making items to your exact head measurements.